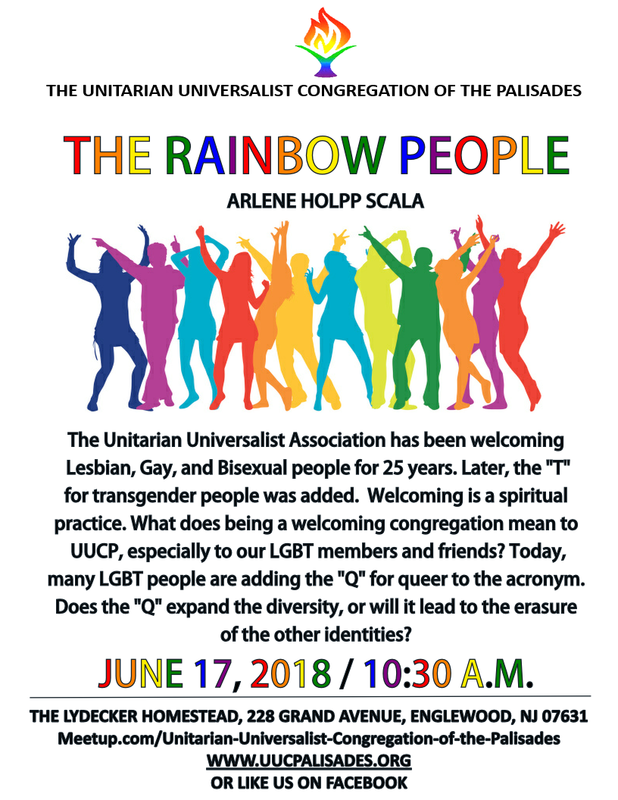 Please join UUCP for our service today at 10:30 a.m. led by UUCP Co-President, Arlene Holpp Scala. The Unitarian Universalist Association has been welcoming Lesbian, Gay, and Bisexual people for 25 years. Later, the “T” for transgender people was added. Welcoming is a spiritual practice. 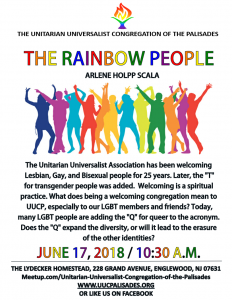 What does being a welcoming congregation mean to UUCP, especially to our LGBT members and friends? Today, many LGBT people are adding the “Q” for queer to the acronym. Does the “Q” expand the diversity, or will it lead to the erasure of the other identities?